I was born in Glasgow on May 30th, 1950 and I am now based in Fife. I am a Member of the Institute of Chartered Accountants of Scotland (1976) and of the Romanian Chamber of Auditors (2002-2016) and I am a Partner of KPMG UK and a Deputy Partner of KPMG Romania and Moldova. I graduated with a BCom Bachelor of Commerce from the University of Edinburgh and attended Glasgow High School and George Watson's College, Edinburgh. 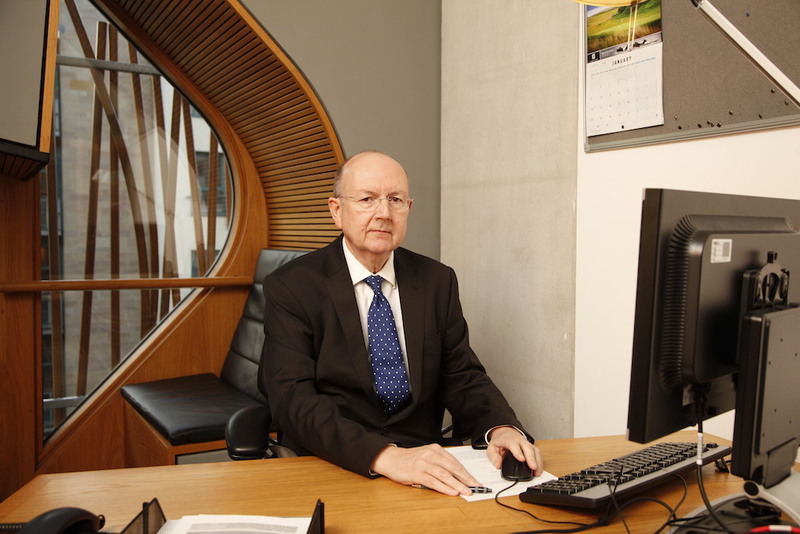 I became a Member of the Scottish Parliament for the North-East Scotland Region in December 2016 and have been a Chartered Accountant with KPMG from 1976. I have been a Partner since 1985. Locations – Edinburgh (1976), Aberdeen (1981), Bucharest (2002). From training to be a CA to setting up the KPMG predecessor firm Peat Marwick’s office in Aberdeen (1981) to moving to Bucharest (2002), I have accrued more than forty years of breadth and depth of experience and skills that is difficult to summarise briefly. With the technical, ethical and soft skills' competences you would expect in a Big4 Partner, my client experience ranges across large and small; public and private; government and NGO sectors; while my industry experience includes all major sectors – manufacturing, services, consumer, construction, transport, energy, pharma, finance, automotive and telecoms. My core service was audit and assurance; but I was also involved in acquisitions and disposals, tax, consultancy and forensics. Within KPMG, I was Risk Management and Ethics partner and had staff, finance, IT, facilities, technical advisory and facilities' responsibilities at varying times. I was elected by fellow partners to support and sit on the KPMG CEE Supervisory Board and I have experience of working with charities. I was an elected board member of the American-Romanian Chamber of Commerce. I stood for Parliament in the UK and Scotland for the Scottish Conservatives in the Dundee East Constituency. Although not elected, this was an experience like no other before having increased my party’s share of the vote against very senior opposition figures (Stewart Hosie, former Deputy Leader of the SNP and his wife, Shona Robison, Cabinet Secretary for Health). Following the death of Alex Johnstone MSP, I was appointed as a Member of the Scottish Parliament for the North-East Scotland Region in December 2016. I am the Scottish Conservative taxation spokesperson and a member of the Public Audit and Post-legislative Scrutiny Committee.